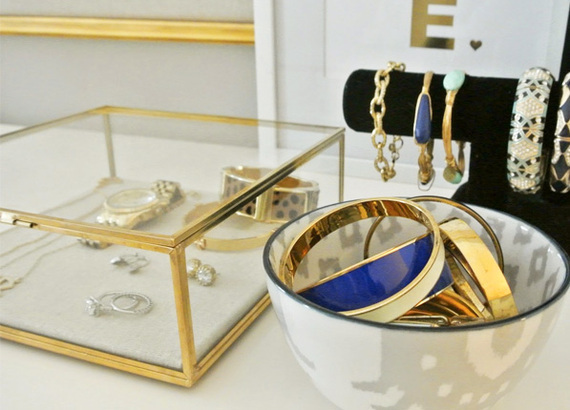 To the woman whose jewelry sits in a jumbled, knotted mess atop her dresser: Your accessories deserve to be treated with a little respect -- and style! 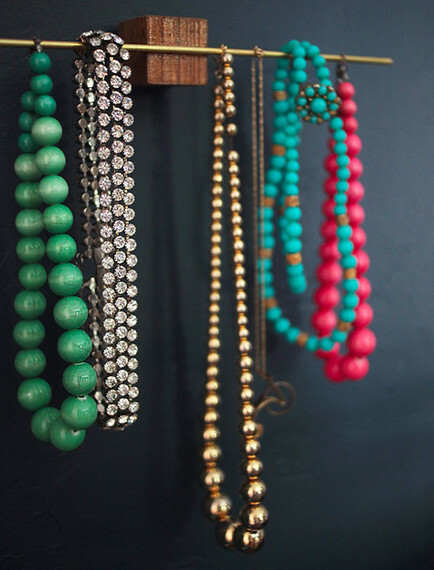 Gone are the cork boards and earring cages of yesteryear. Say hello to some nicer real estate for your baubles and bling. 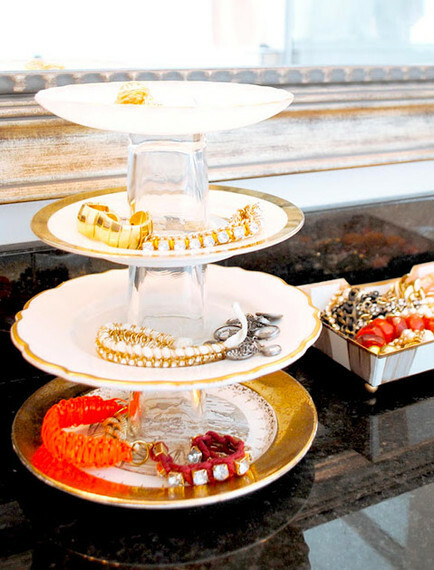 To the woman whose jewelry sits in a jumbled, knotted mess atop her dresser: Your accessories deserve to be treated with a little respec t-- and style! 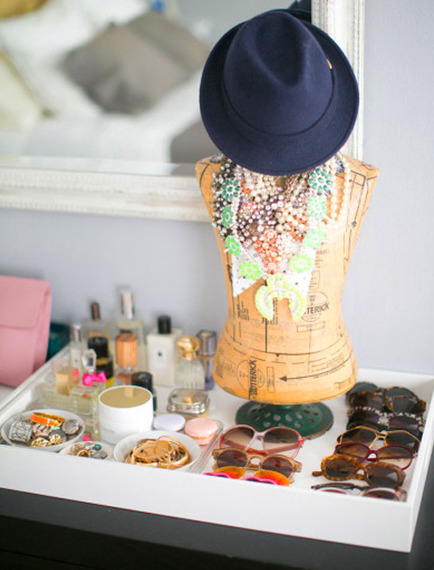 Gone are the cork boards and earring cages of yesteryear. 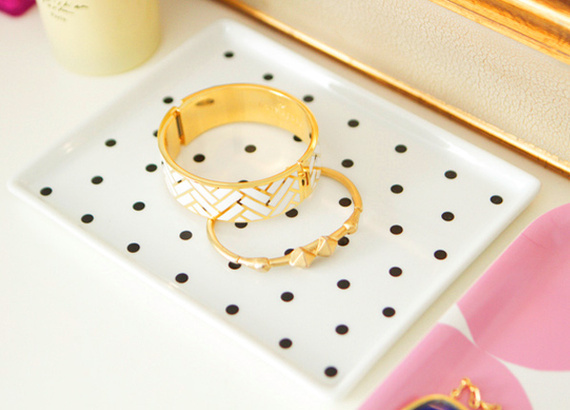 Say hello to some nicer real estate for your baubles and bling. 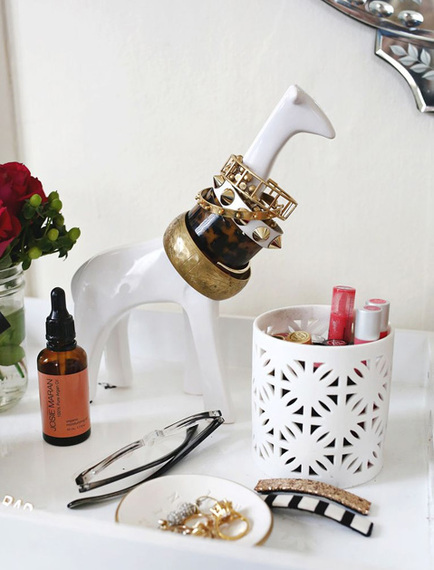 Put a serving dish on your dresser or nightstand. (You can decorate one yourself or buy it pre-designed.) Adorn it with your favorite bracelets, rings and brooches. One man's oddly shaped sculpture is another woman's bangle holder. Go ahead--put the "fun" in functional. 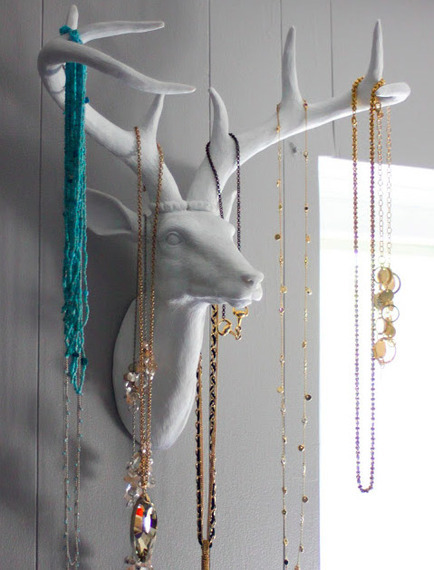 Mount a faux deer head to your wall for a nature-inspired way to drape your necklaces. He won't mind, we swear. Feeling whimsical? May we suggest hosting a tea party... in your dresser? 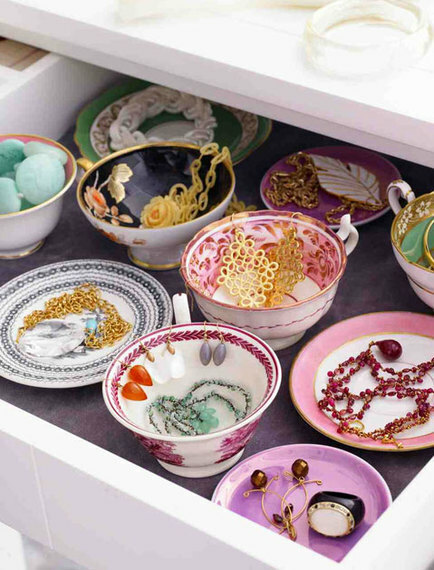 You'll be happy to open up your drawer every day to see tons of colorful mismatched saucers and teacups. If you're a minimalist with some extra wall space, try making these jewelry blocks--all you need are brass dowels, a wooden block and some hot glue. Make your gems look like dessert by using a cake stand. This DIY version uses plates and shot glasses. Take a cue from your favorite retailer. You can get glass boxes like this at any furniture or home goods store. Use a mannequin or dress form to drape necklaces and pin brooches. 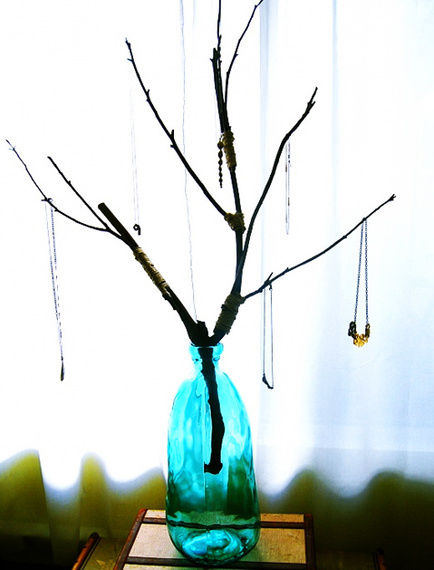 This easy project is an understated and beautiful way to bring the outside in.